This construction video demonstrates the functionality of Chief Architect, the most recognized professional architectural home design software useful for 2D and 3D design. Chief Architect contains automated building tools which can be used for home design, remodeling, interior design as well as kitchen & bath design. 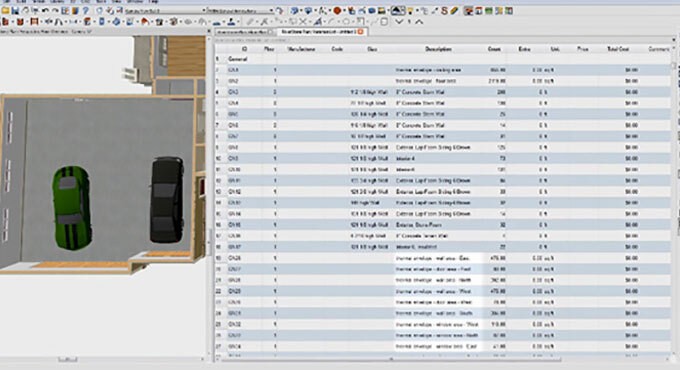 Chief Architect automatically produces a materials list which can be applied for cost estimating later on. The most updated version is Chief Architect X8 (www.chiefarchitect.com). The newest version offers some useful features like display shadows on elevations, story pole dimensions, live & color layouts, plot line layout views and shadows, perspective layout views.